Peel the green mangoes. Then slice both sides, leaving it’s core. Cut them into sticks. Sterilize the jars. Then put all the mango slices inside the jar. Set it aside. In a pan, pour in the vinegar, then add the sugar, salt, garlic and peppercorns. let it cool. 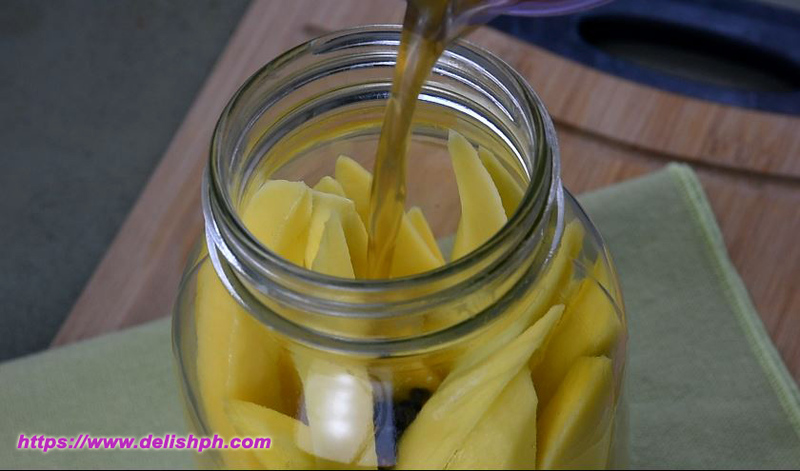 Pour in the vinegar mixture inside the jar with mangoes. Cover and store it for about a week or two. Serve it with some fried fish and pork. Enjoy! 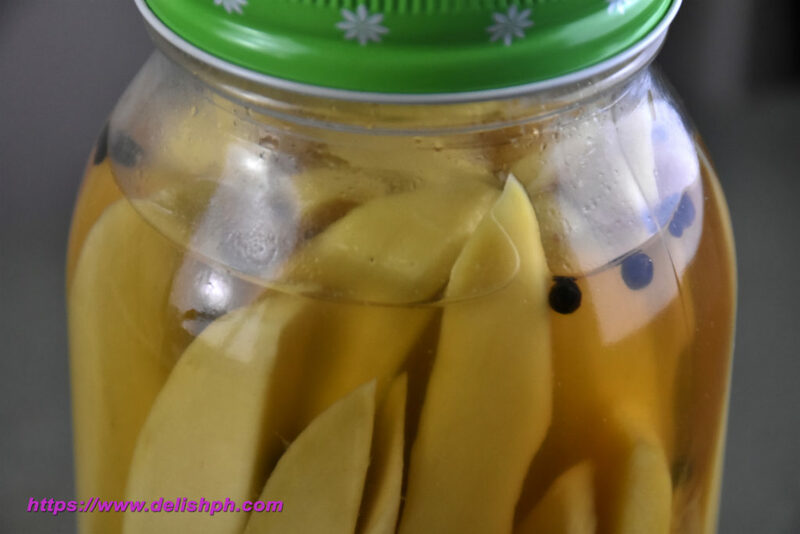 You can make your pickled mango more delicious if you add some fresh chilies on it. Or use tuba vinegar instead of cane vinegar.